For over thirty-five years, I have been an estates and trusts lawyer and the firm has been an estates and trusts law firm. But it did not begin that way. When I first hung a shingle, I enjoyed a general practice that exposed me to a broad band of legal experiences and issues. In the early 1980’s, however, I made a conscious decision to dig deeply into the law of estates and trusts rather than to continue as a generalist. There were several reasons for my decision. The law of estates and trusts is largely a world unto itself: federal gift and estate tax law requires much-dedicated effort to understand and to stay abreast of changes; and, the non-tax aspect of estates and trusts has its own peculiar rules and practices. Most importantly, these laws, rules, and practices must be dealt with, maneuvered around in some cases, and used to achieve clients’ needs and goals. Thus, I decided to limit the scope of my practice to the law of estates and trusts. Yet I did not want to overly restrict the range of my practice within that limited scope. So, within our practice niche we “do it all” – offering estate planning services, estate and trust administration and fiduciary litigation. By structuring the firm this way, we apply the lessons learned from broad experience and apply them to each client’s particular matter or case in meaningful ways. I am, of course, “the name on the door.” As the managing attorney in the firm, my job is to make sure we deliver first-rate estate and trust services to our clients. For our estate planning clients, this means that our clients’ concerns must be addressed and an estate plan constructed to meets those specific concerns. A generic “cookie-cutter” or pre-fabricated approach does not work because estate planning is a dynamic process where a client’s unique situation will dictate the range of planning alternatives. In practice, of course, a client can readily identify their concerns and objectives but may need us to help run-through the various planning options and to help come up with an appropriate plan for that client. We are set up to maximize the efficient delivery of good estate planning services from the initial meeting to the implementation of the estate plan. Almost every new estate planning client meets with two lawyers at the initial meeting to discuss their concerns and objectives. This reflects our approach to treat each client as a client of the whole firm – not just a single lawyer in the firm. Several lawyers are involved in reviewing and discussing drafts of the planning documents, participating in the follow-up discussions, and discussing and overseeing the “tweaking” of the plan. Additionally, at least one paralegal is assigned to the team to assure coordination of efforts and, importantly, that client matters progress on schedule. A similar team approach is used for our administration and litigation clients. The only difference is who comprises the primary team that works along with me to deliver those services. It is this team approach, however, that enables us to keep our representation of clients at the highest possible level. It is not just that we are a small office free of bureaucratic layers but we have organized the office so that a client-centric team is able to stay on top of the needs and concerns of each client. I realize that it is popular to claim that this or that business operates as a team. We actually do: we consciously and deliberately function as a team. I am pleased to have gained the respect of my peers over the years. I am past-chair of the Council of the Estates and Trusts Law Section of the Maryland Bar Association. I am a Fellow of the American College of Trust and Estate Counsel (ACTEC). I have taught as an Adjunct Professor of Law at the University of Baltimore, School of Law. 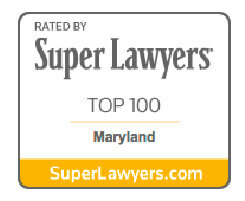 Our firm is included in the first tier of estates and trusts law firms in the US News ratings.